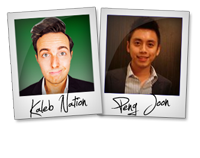 Welcome to the JVNP 2.0 Update featuring a primary JV request courtesy of fellow JVNP 2.0 Partners Kaleb Nation + Peng Joon (Million Hits Secret – ClickBank affiliate program JV invite), Buzz Builders (Eben Pagan – Accelerate 2014, Anthony Morrison – Partner With Anthony, Josh Ratta – eVideo Rocket launches) and More … in Today’s million reasons to support these ClickBank hit makers edition. Million Hits Secret (A breakthrough traffic generation product). Fellow JVNP 2.0 Partner, mark this date on your calendar because you won’t want to miss this one. Date: 17 April 2014 (Thursday 9 AM PST). Product: Recurring FE with killer Upsells that’s converting at 50%. It’s time to break records again and make this another 7 figure launch for all our affiliates. Head on over to our affiliate page for hi-converting swipes we’ve tested on our own traffic and professionally designed banners you can use on your websites or media buys. Here are 5 no brainer reasons why you should mail hard & repeatedly for this. 1. Created by the team responsible for 7 clickbank #1 launches, we know what goes into a making a certified winner that’s guaranteed to stay on the bestseller list for months to come. You’re in safe hands here. 2. ALL the content is created by Kaleb himself so you can promote this quality product with utmost confidence to your list. 3. We have been aggressively monitoring traffic and conversions for the past 2 weeks to ensure an optimal converting funnel that appeals to everyone from the JVZoo crowd to the $1997 high ticket demographic. 4.We will be offering personal and ongoing support to all affiliates through out the launch and all customers post launch so minimal refunds…. 5.Kaleb himself will be conducting monthly webinars to ensure at least an 8 month retention rate on the Front End (based on aggregated results from previous launches). Sign up here to get important launch updates regarding unannounced competitions and bonus prizes for our top affiliates. Good luck and we look forward to making you a ton of commissions! Anwesh Rath + Reed Floren, Alper Aribal, John Pearce, Christian Fea, Greg Jacobs, Matt Wolfe, Kenny ‘Kajabi’ Rueter and other fellow JVNotifyPro 2.0 partners are waiting in the wings … keep your eyes on your Inbox, and follow the action in the JVNP 2.0 Premium VIP JV Announcement archives.